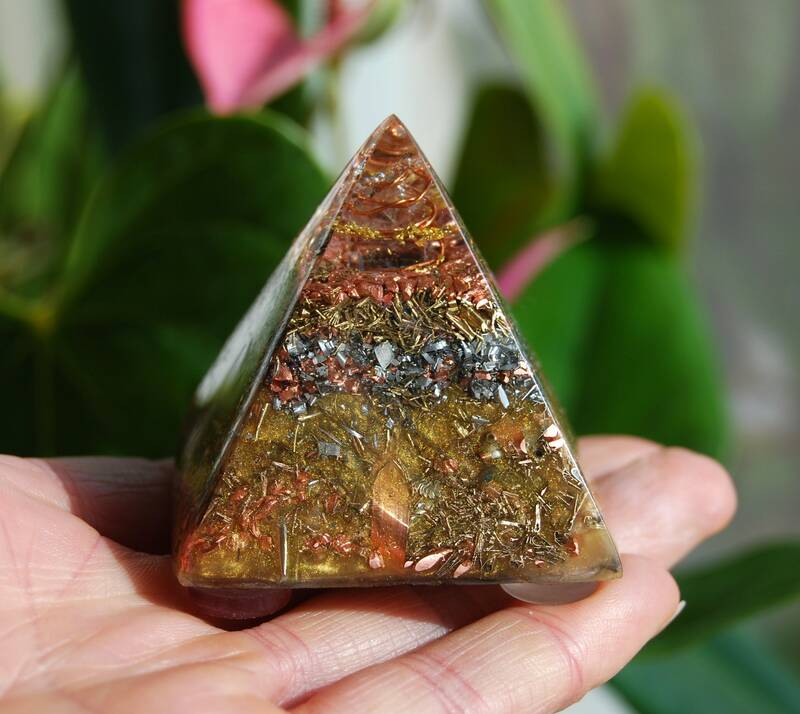 This is a lovely orgone pyramid consisting of four terminated clear quartz crystals in the bottom of this pyramid positioned on all four sides for extended energy flow in all four directions and for piezo electric effect. 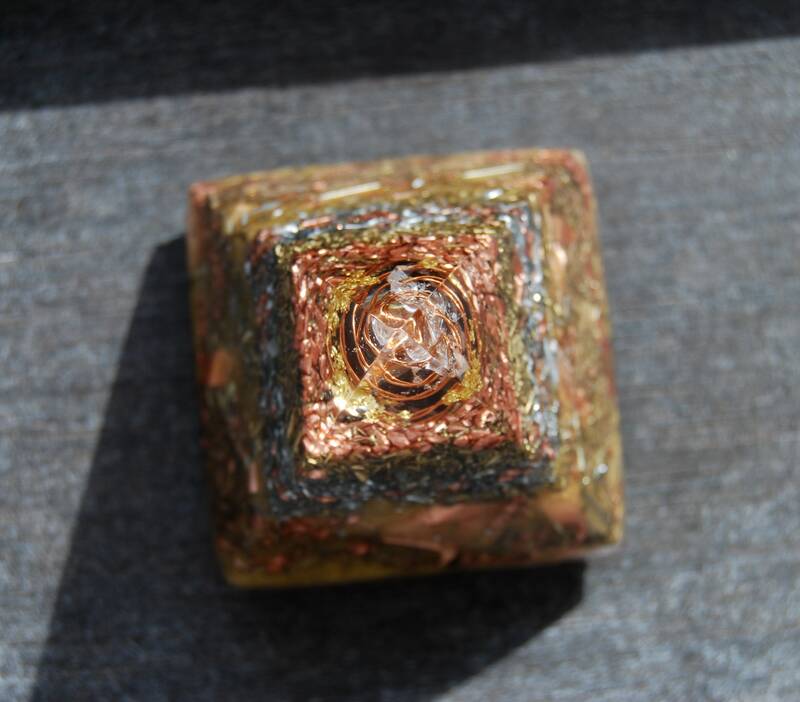 IT has an pure copper SBB coil around a clear quartz crystal. 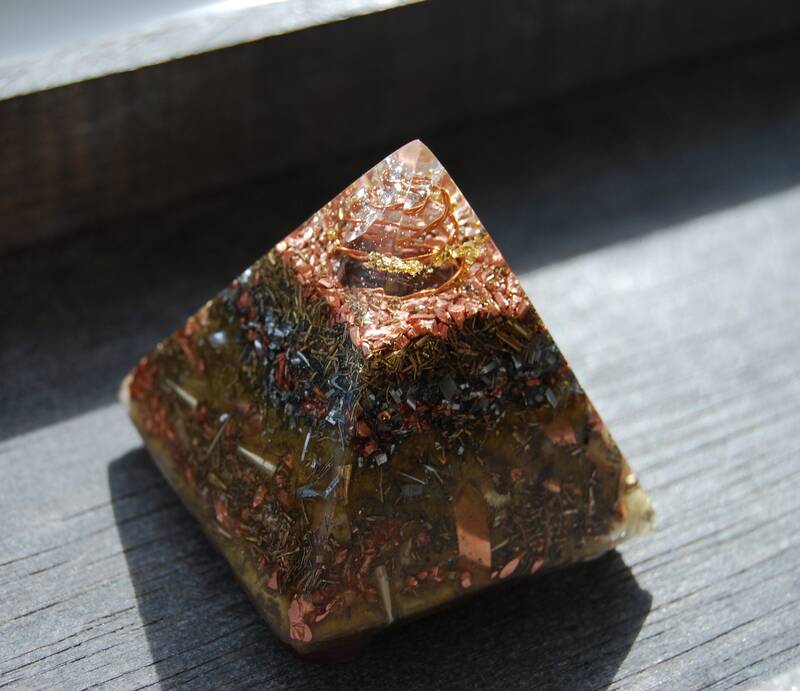 It's main metal shavings are pure copper. 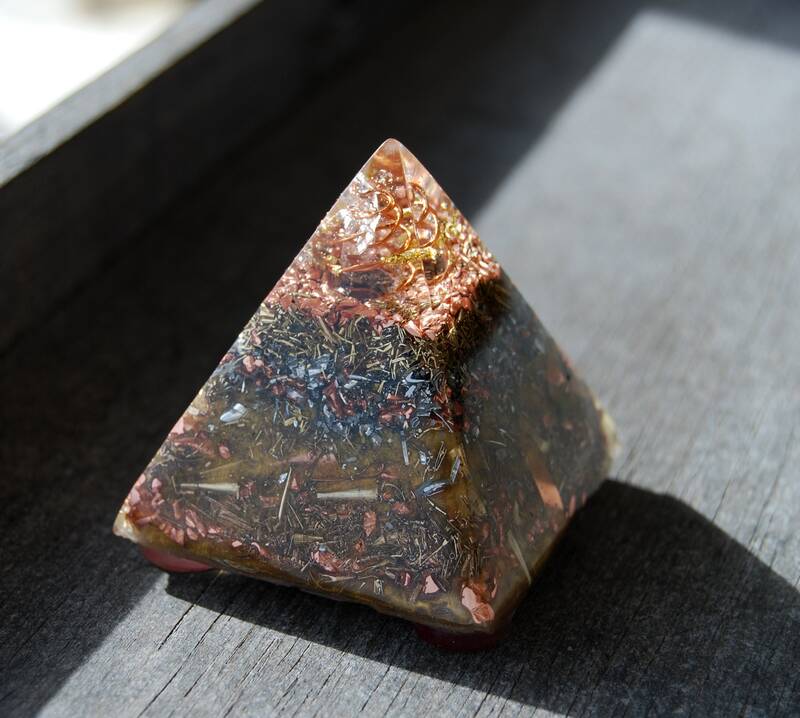 The SBB Coil amplifies, moves and directs energy. 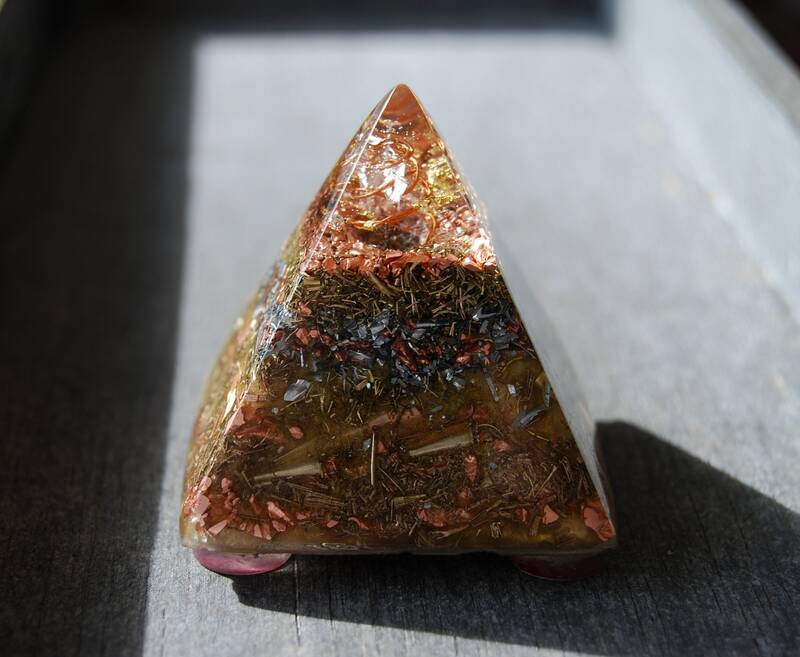 The coil also considerably increases the power and range of the orgonite pendant.